If you like keeping track of websites which are constantly changing their information (such as blogs and news sites), you might be interested in being notified when the site updates its content. Usually publishers of dynamic websites will allow you to “subscribe” to updates in one of two ways. One is via email updates, the other via RSS (colloquially called “Really Simple Syndication”). If you’re like me, my inbox is littered with spam and is a hive of activity, so I’m loathe to subscribe to even more email, and there’s always the risk of landing on a spammers data base. Which is why I like the RSS option. Anytime my favourite blogs or websites update I can view the updates at a convenient time in my RSS feed reader. There are numerous feed readers available for use, and I don’t intend to cover the options here. I use Google Reader and have been really happy with it. It also appears to be the most popular. Google Reader is pretty easy to set up. 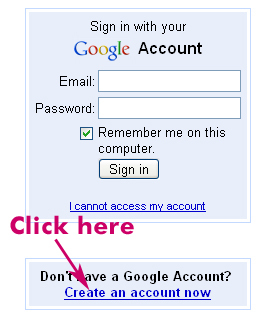 I’ve outlined the steps below, with the assumption that the reader does not already have a Google account. Navigate to Google home page. At the top left of the screen you will see some options. Click on the “more” button and select “Reader”. This is NOT creating a gmail account. 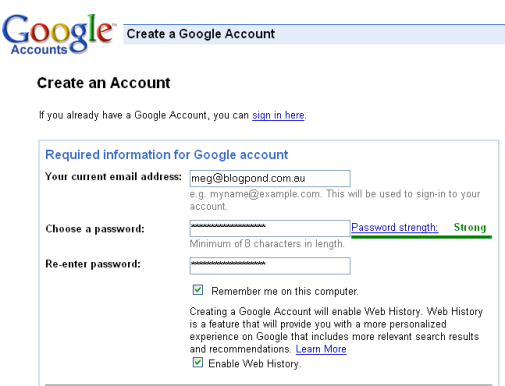 You can use any existing email account, and this will also allow you to access a range of other Google services. The next screen tells you that Google has sent you an email with a verification link. Look for that email and click on the link. You will be taken to a new screen which says your email address has been verified. Click on the link to manage your account profile. Look for the section on the right that says “My Services”. Reader should be listed there. Click on the link. Congratulations! You have now signed up for Google Reader. Next – How to Add New Feeds to Google Reader. thanks for this advice. I have been adding feeds slowly over the few weeks- else I get so overwhemed with 90-100 posts to read – (because GR adds 10 at a time) anyway got through all my feeds tonight and hit the home button – and guess what your blog pops up as a new suggestion – I was planning 😉 on adding you anyway (I visit your blog regularly but have not subscribed till tonight). ps It was actually a top recommendation !